As many mothers are birthing later in life due to circumstances (infertility, no stable partner) or purely by choice we are often very well established in life, occupation and relationship by the time a baby comes along. This little 3rd person in the inner circle can take more adjustment than expected. That’s not to stay that you are not head-over-heels in love but rather the intensity of caring for a newborn can be quite a shock to both of you. I remember feeling like the drill of feed, burping, changing used to take so long that it felt like the next drill started a few minutes after the first one finished. Given this my husband would come home and I was still in my pajamas and had forgotten to eat lunch. The impact of this intensity of caring usually means there needs to be a re-sharing of tasks and responsibilities between couples. My antenatal course groups always laugh at me when I tell them that time-out with twins meant 30 minutes browsing the aisles of the SPAR (not the a spa unfortunately!) but it really can be so overwhelming that walking through the aisles of a grocery store can feel like a relief. So here’s a heads-up on how you can pull together instead of falling apart. Plan an evening with nice meal and grab a notebook and jot down how both of you (both partners) see your current roles within your family unit. In other words who does what and what is shared and how do you feel about it. For example, who does the grocery shopping, cooking, budgeting/ paying bills, house maintenance, pet care, holiday planning/ booking, car services? Whatever you want to add to this list. Work out a plan on how you are going to fulfill these roles when there is a baby in the mix. Your plan won’t be perfect but just the fact that you are talking about it before the birth will help for later. Discuss your current socializing and/ or sporting schedules and talk about how you think it will change after a baby. Set up a plan to give each other time-out or get a babysitter. I have a friend whose husband loves ‘a pint’ in the pub 3-4 evenings a week after work. She used to enjoy joining him but once the first baby arrived this became more challenging because the environment was smoky and loud. When the second baby arrived the challenge was even greater and tension mounted because she was struggling with the children and the 3-4 times per week in the pub wasn’t working on multiple levels. Somewhere they needed to find a ‘new normal’. If you are a couple that does a lot of socializing- I’m talking 3-4 evenings out a week- this usually will change after a baby- mostly because you are both tired and don’t have the energy to keep up that pace, but you’ll want to get to a point where you plan doing things out together like you used to but in a way that works for you both and your baby. Time out or dates nights will help with coping and help you feel like you aren’t passing each other like ships in the night (literally). Plan how you are going to work these in after your baby is born. Keep in mind, a baby in the first few months of life is usually very adjustable and can be out and about with you and continue his/ her feed and sleep cycle. My husband and I went to watch a “James Bond” movie when our last child was 3 ½ months old. I saw the people next to us gasp as they realized they would be sitting next to a couple with a baby. Well, I kept his ears covered with my hand to dampen the noise and he slept against my chest for the entire duration of the movie. Conflict management may be an area in your relationship that takes a new hit after the birth. You’ll both be tired and wading through new territory as you work out what your new roles are. Plan now how you will manage conflict and frustration after the birth. If it’s a particular problem in your relationship go and see a coach or counselor before the birth so that you can set up new strategies. 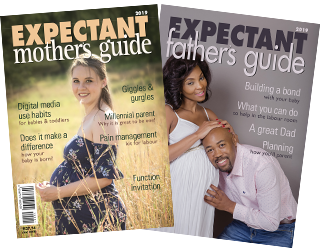 Expect conflict but have a clear plan on how to work through it so that you can both grow through the intensity of parenting and not be pulled apart. Normal or caesarian birth and the whole process of pregnancy is a major event on a woman’s body and warrants some slow down time. Give your body time to heal and recover. Added to this you are both getting used to disturbed sleep- okay I know it started during pregnancy, but it will be more intense once your baby is born. Give yourselves time to rest and recover and get to know each other at home. Parents and babies need time for this. The process is very interrupted when there are continual activities and interruptions or unrestricted visitors. If Dad can take some time off work he will be able to get to know his little person faster and but he can also help keep the household calm and in a way protect the first few weeks for the family. Can you imagine how your partner would feel if you grabbed him or her at the door at 5pm and ordered them to go and have a shower and then said that you are going to eat in exactly 5 minutes. Once he/ she sits down to their meal you start timing them and give them precisely 20 minutes to get through a three-course meal. As he/ she is taking a spoon of dessert you yank the bowl away and tell them “time is up”. This kind of behavior is destructive to relationship. I know I’m over-stating it and at some point – a few months down the line- it can be helpful setting a pattern to your and your baby’s day, but for now you need to focus on relationship and breastfeeding. If you focus on getting to know your baby the breastfeeding often goes better because you start to understand what your baby is telling you with his/ her cues. I also find that if I tell moms to leave the books for a few weeks and just “be” with their baby their stress levels diminish and they start to trust their own intuition or instinct. My point of slowing down for the first 6 weeks is not so much to never go out but rather not to say yes to every event and not have time to get to know your little person. However, it might be easy to take my 6-week suggestion to the extreme and find yourself being engulfed in claustrophobia by the four walls of your home because you have stayed home for that entire time. Rather than locking yourself at home plan a small outing roughly week 2 to 3. By small I mean go for coffee at a friends or your mom/ mom-in-laws house. That way if you need to feed while you are out it will be easier at someone’s home. It will also help you brave bigger outings because the first outing is usually the most stressful. Once you’ve braved the first trip, plan the next one out as a couple. Baby can go with you but plan a coffee or meal out. Even a short outing together will give you motivation to go home and start with the whole cycle or parenting tasks again. Every relationship goes through ups and downs but when the down doesn’t return to a normal good place it’s important to get help sooner rather than later. Either one of you could be suffering from a form of postnatal depression or anxiety or generally just struggling to adjust. Go and see a regular or faith based counselor or psychologist and find ways to help the two of you bond again. The two of you may previously have mountain-biked together on a Saturday morning which in this phase of life may not be possible but find something you can do together. Establish a new normal. Perhaps its watching series together or doing park-runs with a jogger but find something you can enjoy and look forward to doing together. Every two to three months take an hour out to evaluate how you are doing as a couple and as parents. Ask each other questions like “do you feel loved by me?”, “how can I love you better?” “how are we managing work/ parenting balance”, “how am I doing in my new parenting role?”. Be real with each other and be willing to accept a response that might not be so easy to hear. Try not to be defensive but find ways to grow stronger together.